The races start at the gate which will be open for the event. The sixth annual Shelby Forest Loop Marathon and Half Marathon was conducted in near perfect running weather. Eight of the 43 marathon finishers ran a Boston qualifying time! The seventh annual race is set for Sunday February 23, 2020. The marathon starts at 8:00 AM, and the half marathon starts at 8:30 AM. 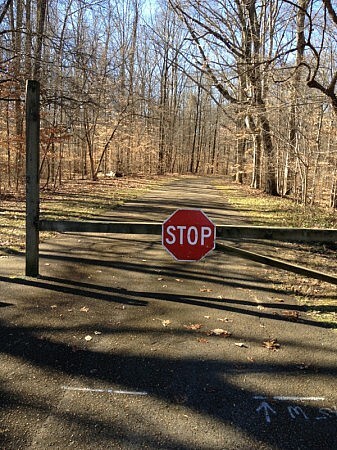 The race will take place on closed paved road at Meeman Shelby Forest State Park in Millington, TN. The start/finish is located at 736 Piersol Rd Millington, TN 38053. Both races are USATF Certified. The marathon course certification code is TN14002MS, and the half marathon course certification code is TN14001MS. For those of you interested in qualifying for Boston, the Loop Course is a good race to run! 2020 race registration will open around 9/1/19. $55 for the half marathon and $75 for the marathon. Online registration closes at 8:00PM central time Friday February 21st. For those runners who would prefer to copy and paste the registration link into their browsers the race registration link is TBD. The race takes place at Meeman Shelby Forest State Park. The start/finish is located at the Piersol Rd picnic area located at 736 Piersol Rd Millington, TN 38053. Packet pickup will commence on race day at 7:15 AM at the start/finish. SATURDAY NIGHT PACKET PICKUP: Pre-race packet pickup is Saturday February 23rd at Three Guys Pizza Pies from 5:30-6:30PM at 9045 HWY 64, STE 105 Memphis, TN 38016. Pick up your packet and enjoy some good pizza, spaghetti, etc. The menu can be viewed at http://www.3guyspizzapies.com/menu/. Three Guys is located a mile east of I-40 off of Exit 18 next to the Kroger. Please note that Three Guys is located 35 minutes from the race site. Parking is at the start/finish. 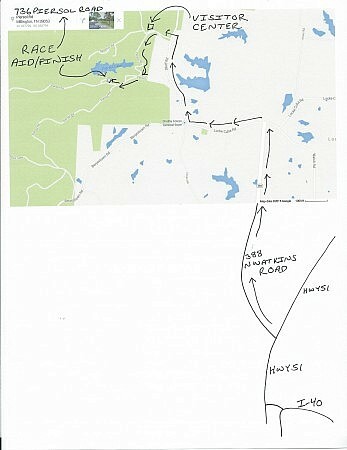 For directions to the race site at Meeman Shelby Forest State Park click here. In addition, an image of the roads leading to the race start/finish can be seen below. Highlight the map and paste into a blank Word document to view a lager version of the map. The best airport to fly into to run the Shelby Forest Loop Marathon and Half is the Memphis International Airport (MEM). The Travel Math nearest airport to Millington, TN link is http://www.travelmath.com/nearest-airport/Millington,+TN. This is a road race on paved road that has been closed off to cars for many years. Marathon runners run nearly 13 complete loops of the course. There are no 180 degree turns on the marathon course. The half marathon consists of six and half loops of the course with one 180 degree turn shortly after the start. The course loop is fairly flat with the high point of the loop 20 feet higher than the low point. This is a fast PR type course. Both races are USATF Certified. The marathon course certification code is TN14002MS, and the half marathon course certification code is TN14001MS. If you would like to be a race volunteer please contact Mike at events@altisendurance.com. Volunteers earn free race entries for themselves (or to donate to a friend/relative) in any Altis Endurance race and/or donations to a favorite charity/non-profit organization. 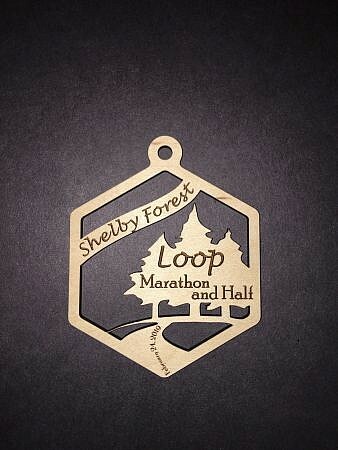 An image of the 2019 Shelby Forest Loop Marathon and Half Marathon finisher award is above. Historical average high and low temperatures in Millington, TN on February 23rd are 56 and 36 degrees. The 2019 marathon results are linked here, and the 2019 half marathon results are linked here. The 2018 marathon results are linked here, and the 2018 half marathon results are linked here. The 2016 marathon results are at https://ultrasignup.com/results_event.aspx?did=34447, and the 2016 half marathon results are at https://ultrasignup.com/results_event.aspx?did=34448.The 2015 marathon results are here, and the 2015 half marathon results are here. The 2014 marathon results are here. The 2014 half marathon results are here. The 2015 Shelby Forest Loop Marathon and Half squeaked in between ice and snow before and after the race. 42 runners started the event, and 42 race finishes were recorded on a cold day at Meeman-Shelby Forest State Park. Chris Rayder and Rachel Arthur set new marathon course records while Benj Lance and Caroline Blatti lowered the half marathon course records. Several Boston Qualifying times were run, Chris Rayder set the TN state marathon age group record for 15 year olds, and Robert Rayder completed his 100th marathon! It was another super day of running! The 2014 Shelby Forest Loop Marathon and Half were run in nearly perfect weather on February 23, 2014. 29 runners entered the event, 26 runners started, and 26 fantastic runners finished the event! Fourteen year old Chris Rayder ran two minutes faster than the current TN state marathon record for fourteen year olds and also finished first in the marathon! Carol Earles was the first female marathon finisher. Since 2014 was the inaugural year for the race, both Chris and Carol set course records. In the Half, Damie Roberts finished first to set the current Loop Half overall and female course records. Alan Presson finished second overall and set the male course record in the Half. Thanks to the Memphis Runners Track Club (MRTC) for certifying the course. Thanks to the runners and volunteers for making the race a success and allowing nine hundred dollars to be donated to non-profits. There is an aid station approximately each mile. The usual race food will be provided at the aid stations, ie. cookies, chips, water, and Gatorade. It is recommended that runners bring their own energy gels, electrolytes, and water bottle to the race as needed. Runners have seven hours to complete the marathon and six and half hours to complete the half marathon. As is the case with most races, there will be no refunds of entry fees to entrants. Transfers of race bibs from one runner to another is also not allowed. There are cabins and campgrounds at Shelby Forest State Park. Information on the State Park accommodations can be obtained by calling 901-876-5215.